With over 90 million picnics happening across the UK every year the pressure is on to create an alfresco menu with a difference. So if you’re tired of scotch eggs and soggy sandwiches, why not try a posh picnic instead? To really add some style to your outdoor party, don't forget to bring some seriously refreshing CRAFTED drinks. The good news is, upgrading your outdoor dining needn’t break your budget. With just a few simple switches and some easy recipes, you can treat family, friends and loved ones to a posh picnic easily. Here are some of the ways you can posh up a picnic without splashing the cash. 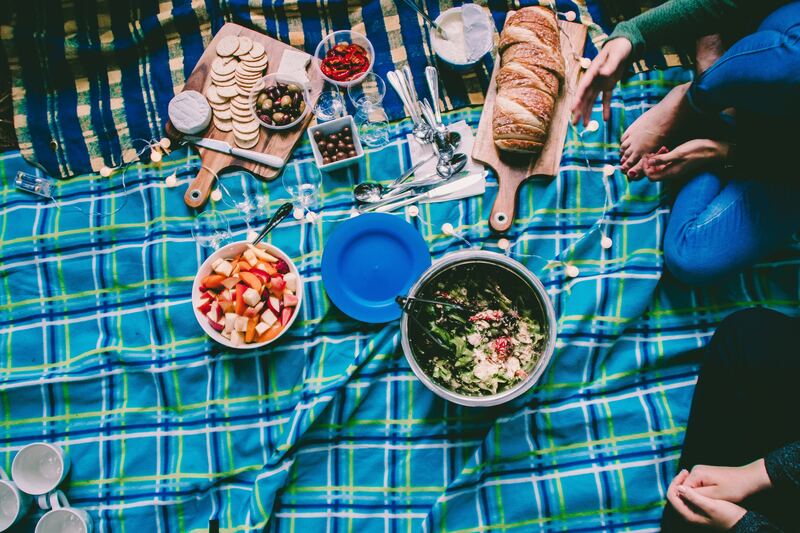 Don’t be too quick to rule out a posh picnic when enjoying the great outdoors. Adding a collapsible table and chairs - or even draping a beautiful tablecloth over your existing table will glam everything up a notch or two. Don’t forget to dress your table to impress. Switch plastic plates and cutlery for ceramics and silver and your picnic is instantly elevated to a swish alfresco event. Extra touches such as cushions on the chairs or cloth napkins add even more style to the occasion. Show off your sparkling beverages, fresh fruit juices and craft drinks in your best glassware. As much as you might be afraid to take your best crystal into the great outdoors, your taste buds will thank you for it. Scientists have confirmed that drinking from a heavy glass is more enjoyable - even if the feeling is only psychological. Not only will everyone enjoy their drinks more but your picnic will be eco-friendly, cheaper and look gorgeous. If you’ve got the time, preparing ahead and making some homemade treats is the icing on the cake for your posh picnic. Think colourful salads made with couscous or quinoa, succulent olives, crudités and smoked salmon. For a retro picnic with a quintessentially British feel why not whip up a batch of sweet onion sausage rolls. Mixing some classic favourites in with some upscale treats are just the thing to keep guests of all ages well fed - and suitably impressed! Originally, picnics began as social events where all guests brought a dish, so don’t be afraid to ask for a contribution from friends if you’re feeling overwhelmed. Polish the silverware, install a trusty weather app and plan your posh picnic today. With these simple tips and a menu of mouth watering food, all that is left to choose is the location.